Remember scavenger hunts? Remember all the fun you had hunting down treasures to your heart’s content? Remember racing your friends to the end and being the best around? Remember being chased by a tall, faceless man in a suit who killed you if you got too close? Oh wait, I’m just remembering “Slender”, a free horror game that swept the internet and is officially the cheapest laxative ever made. What a waste of a lovely night. You play as…someone, walking in a forest…somewhere. Okay, so the game doesn’t tell you much. In fact, the only information it does give you is, “Collect all 8 pages.” That’s exactly what you do. You search a forest for eight pages. Finding the first page is easy because you’re not in any danger, but after you pick it up, the game truly begins. Suddenly, a loud, booming sound resonates throughout the woods and you’re being slowly chased by Slenderman. For the uninitiated, Slenderman is an urban legend created on the internet. He started out as a couple of photoshopped pictures where he appeared around children. The spindly fellow didn’t become incredibly popular until the Marble Hornets web-series about a group of college kids being haunted by Slenderman. “Slender” takes it’s inspiration from that series with fuzzy cameras and scribbled notes left by his victims. Finding these notes is your only objective and the more you pick up, the faster you will be hunted. 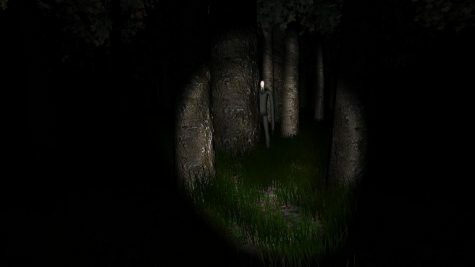 Slenderman appears behind you and blends in with the trees. Letting him get too close is dangerous, and you’ll know he’s close when your screen is covered in static. There are several landmarks around the map where the notes appear like a water tower, a truck, and worst of all: a building with narrow hallways. By the time you find four or five pages, Slenderman starts really picking up the pace and finding all eight means you are great at horror games. 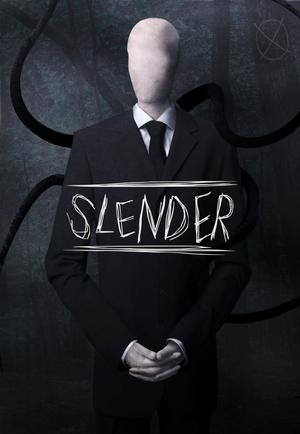 What makes “Slender” so scary is the feeling of always being chased by something you can’t see. Like “Amnesia”, if you look at the monster your screen will blur and you’ll be screwed. What can’t be seen is always scarier than what can, and Slender works with this fact perfectly. Also like “Amnesia”, this game was extremely popular for reaction videos and let’s plays. It was free after all, and everyone was playing it. I had it downloaded on my laptop and brought it to all of my friend’s houses for a spooky good time. It’s one of the best “party horror games” ever. Because everyone can gather around and since the game is so short, taking turns is easy. The original game is still free and available to download, but there’s also a sequel, “Slender: The Arrival” on consoles and PC. This is a full release with multiple levels and a much bigger budget. Check them both out because they will both scare the crap out of you.